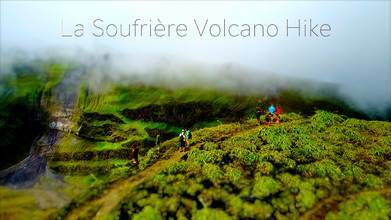 Description: La Soufrière or Soufrière Saint Vincent is an active volcano on the island of Saint Vincent in the Windward Islands of the Caribbean. At 1,234 m (4,049 ft), La Soufrière is the highest peak on Saint Vincent as well as the highest point in the island country of Saint Vincent and the Grenadines. Soufrière is a stratovolcano with a crater lake and is the island's youngest and northernmost volcano.